Jaipur was the first truly planned city in India and was begun in 1727 by its founder Maharaja Sawi Jai Singh II, a brilliant Hindu prince. 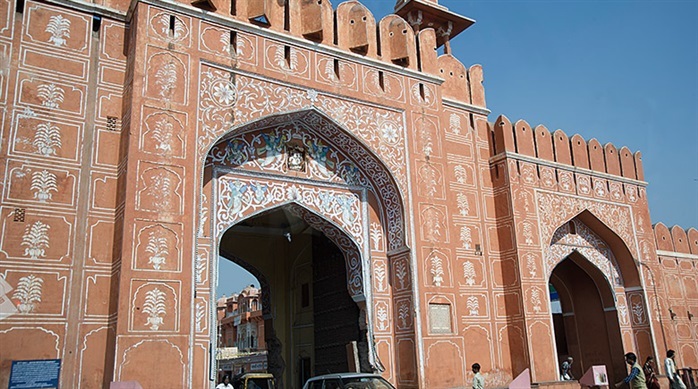 The old city was called The Pink City because of the terra-cotta –colored lime plaster that coats its walls and old buildings. 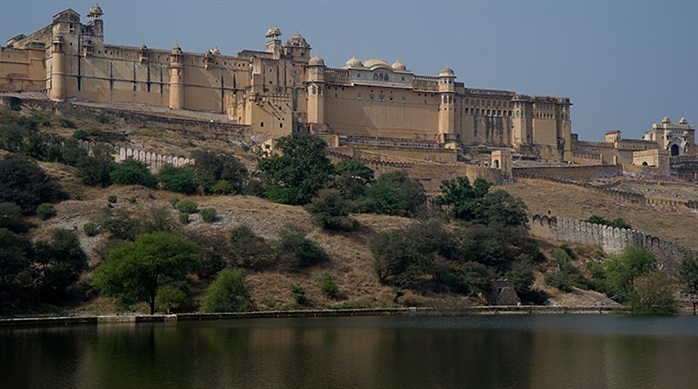 Seven miles north of the city is the former capital of the area, The Amber Fort that was the seat of power from 1037 to 1727 when it was moved to Jaipur. It contains palaces, pavilions, temples and gardens. 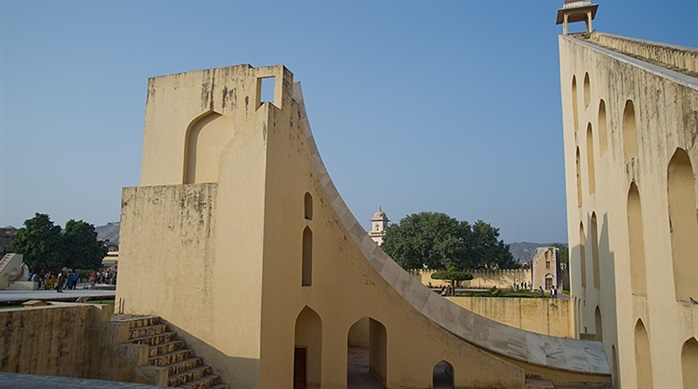 One of the greatest accomplishments of Sawi Jai Singh II was his creation of the largest medieval observatory in the world: Jantar Mantar which houses 18 instruments erected between 1728 and 1734. Many of these were inventions of the Maharaja himself and are still relied on today to predict weather and the coming of monsoons. It is surreal to see these very contemporary, sculptural pieces in the middle of an ancient city. 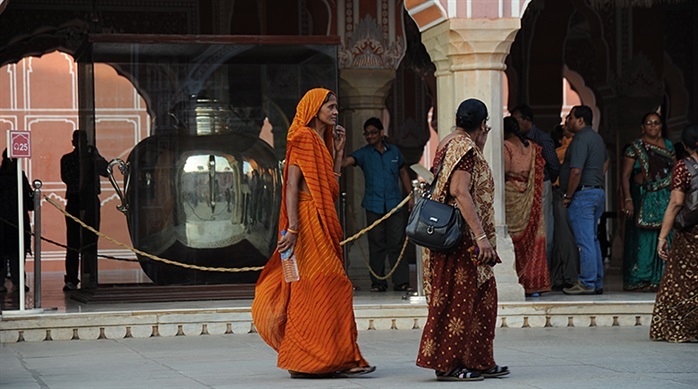 The City Palace houses a large collection of royal costumes, daggers, swords and exquisite miniature paintings. The Peacock Courtyard features four beautifully painted doorways. 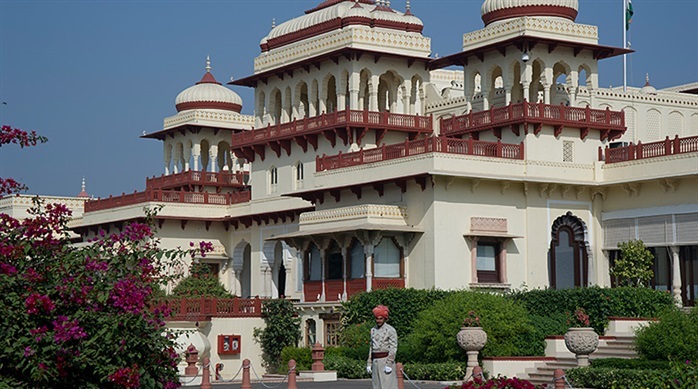 One of the most elegant hotels in the state is The Taj Rambagh Palace Hotel which was formerly the hunting lodge of a Maharaja and dates back to 1835. Here one gives a real flavor for the opulence of the colonial period of India.